Product Information- 100% Free from paraben, soap, alcohol, artificial colouring & fragrance. Clean, soothe & refreshes your skin with lavender extracts & nourish it with ultra-whipped Shea butter. Antioxidant in orange extracts prevents ageing. 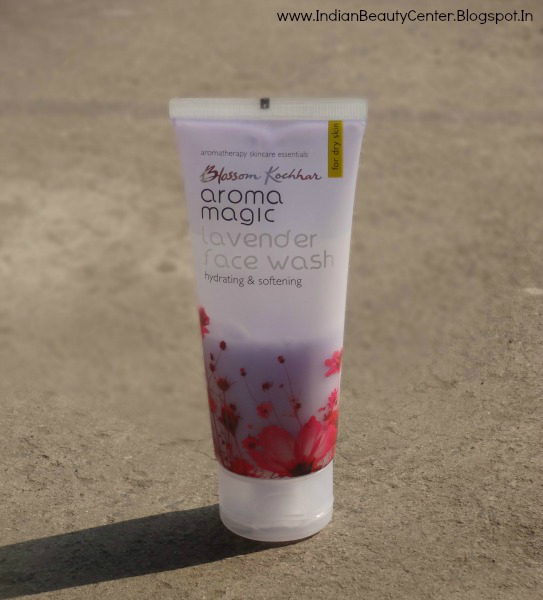 Shields your skin from minor irritation with blend of lavender & rose essential oils. Ingredients- Aqua, decyl glucoside, olive esters, butyrospermum parkii butter, lavandula angustifolia oil, Rosa centifolia oil, citrus aurantium dulcis extract and glycine soja extract. Directions for Use- Apply to moist face & neck. Massage gently and rinse off properly. Use it every morning and night, moisturize and use sun protection for best results. Lavender! This word really excites me and sends me into a totally different world! 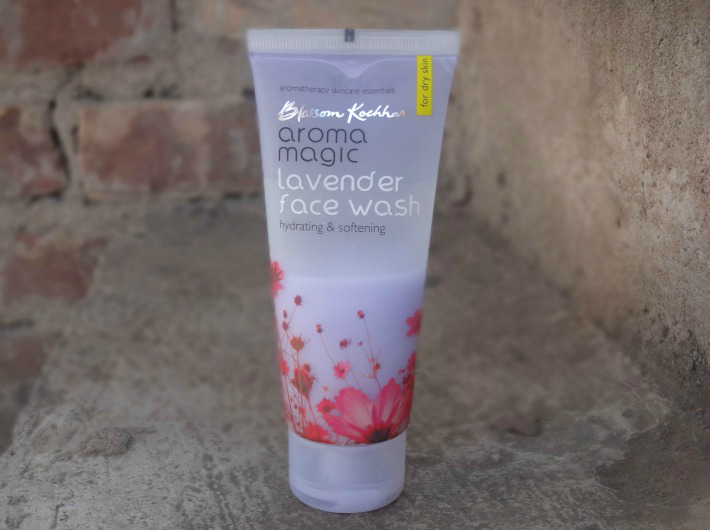 Lavender flowers, Lavender oil, Lavender lip balms and now, I have a Lavender face wash too :D This face wash claims to be totally free from artificial colors, fragrance, soap, parabens, etc. This face wash comes in a normal transparent tube, with a not at all tight cap. I wish the cap was tighter because it would have helped me to carry it along with myself on travels. The transparent packaging helps me to see how much is left behind. This face wash smells really mild, very very natural and I am sure all of you would like it! It lathers so nicely and spreads onto the skin easily. However, the consistency of this face wash it very thin and that causes a bit of mess around the cap. Now, coming to the cleansing part- it cleanses the skin so very nicely, does not over dry the skin and also removes mild makeup! Even my husband used this and like me, he found it to be the best face wash for men as it totally dried out a few acne that he had and made his skin glowing and fresh. Dirt, grime, pollution, sweat is nothing for this facial cleanser and it removes them all! I totally love how this face wash makes my skin glowing, fresh and does not leave any slippery feeling behind. My skin has improved after using this face wash, I must say! So, overall, this is a good face wash for sensitive skin and is for everyone and every skin type but don't expect it to moisturize the skin because it won't do that. Yes, it does not over dry the skin but moisturizes neither. So, use a good moisturizer after using this. I highly recommend this face wash to everyone and would surely repurchase it. 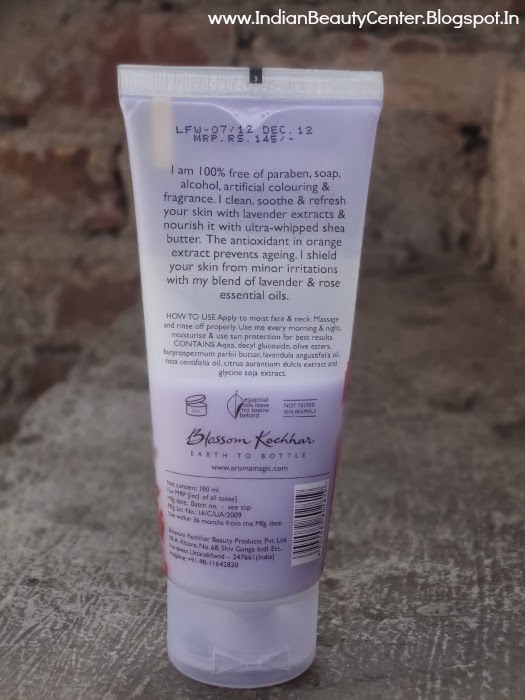 3) Does not moisturize the skin but on the packaging it is already written that you should moisturize your skin after using this. However, I am not deducting any mark for the cons as they are not at all major problems for my very oily, sensitive, acne prone skin type ^_^ I found it to be the best face wash for oily skin. Nice review dear! My mom using this one and she loves it! sounds good vl definitely try this in future! I love lavender. I find the scent relaxing and calming. My father used to put it in my pillow case when I was little, to help me sleep. It looks good, I have not tried their products yet.